This paste helps reduce swelling, alleviate pain, fight off infection, and keep bleeding in check. To make it at home, mix ginger and cayenne in equal amounts along with a little bit of water. 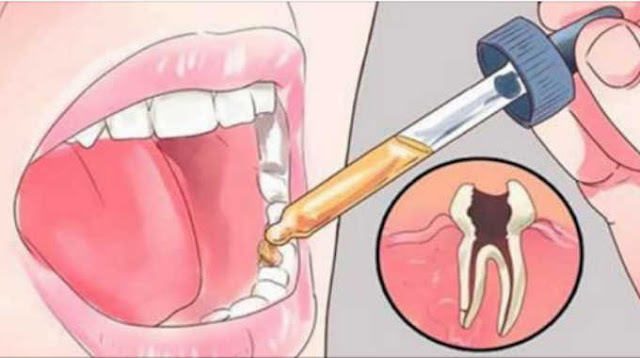 Soak a cotton ball in the formula and apply onto the affected tooth. Let it work as long as possible. This solution is made of a teaspoon of salt and a cup of boiling water. It combats infection and alleviates throat pain. It also helps ease swelling and flush away debris. Allow to water to cool and swirl it around the mouth for half a minute. According to a 2013 study, peppermint oil is very effective antiseptic solution against oral pathogens. For optimal results, drink peppermint tea containing a teaspoon of peppermint leaves steeped for 15-20 minutes. This delicious tea will also alleviate bad headache and bad breath, both of which are typical side effects of tooth pain. Vanilla works in two separate ways: its scent acts as soothing agent to help fight off anxiety linked to a toothache, and its alcohol content acts as numbing agent. To use it to alleviate a toothache, dab vanilla extract on your finger and rub it onto the affected tooth. Repeat the procedure twice daily. This paste is packed with antiviral and antibacterial properties, which makes it able to fight bad breath, gum redness, irritation, and tooth stains. Mix a tablespoon of coconut oil, a teaspoon of turmeric powder and a few drops of peppermint oil. Brush your teeth with this paste just like you would do with a regular one. Let it sit for a few minutes before rinsing it off. Losing a filling or breaking a tooth is extremely painful, particularly near the newly exposed area. In order to alleviate the pain, even temporarily, chew a gum on the opposite side of the mouth and apply the chewed gum onto the affected tooth. It is recommended to use oils like cinnamon, clove, tea tree oil, spearmint, peppermint, and myrrh. This post was republished from getholistichealth.com. You can find the original post here.